Training In Aid was first established as a consultancy group in 2012. Our trainers have been operating at the leading edge of humanitarian response, learning and development for over a decade - often embedded within organisational training units. Rich's humanitarian career has encompassed wide exposure to the UN community, international NGOs, regional response and national government organisations. Before founding Training In Aid in 2015, as the surge training officer at headquarters of UN OCHA, he managed a global training service preparing hundreds of rostered UN experts for emergency field deployments worldwide. During these years, Rich developed numerous high profile projects for inter-agency partners and disaster coordination networks, incorporating emergencies such as Typhoon Haiyan in the Philippines and the Ebola outbreak response in West Africa. As senior humanitarian trainer for RedR Australia during 2008 - 2011, Rich's core portfolio covered the Asia-Pacific international NGO and UN community. He was the lead trainer assigned to design and deliver the acclaimed training programme for the Australian Medical Assistance Team scheme; a model which has been exported worldwide for use across the Emergency Medical Team (EMT) network. As an independent consultant in the intervening years, Rich extended his training services to new client groups, including refugee crisis partners in East and Central Africa, and emergency response teams in Pakistan, India and Afghanistan. He also deployed on operational assignments as a field security officer, providing safety advice and crisis management skills to ensure the wellbeing of staff and programmes in hostile environments. Before joining the humanitarian profession, Rich started his career as a front-line infantry officer with the British Army. For six years he served in operational command appointments, training and civil-military coordination roles. He completed two field missions to Afghanistan, led counter-terrorism teams in Northern Ireland and became a jungle specialist through his experiences in Central America. Upon leaving the military, Rich worked for several years as an expedition leader and guide in the adventure travel sector, leading and preparing teams for challenging projects in many developing countries. Rich holds chartered status in training and development, a degree with honours in psychology, a diploma in security risk management, remote first aid and various leadership qualificati﻿o﻿ns in extreme a﻿nd austere environments - including mountains, jungles, deserts and oceans. His written articles in the field of training design are published in professional journals. He continues to be an active roster member for the UN Disaster Assessment and Coordination (UNDAC) Teams and for RedR Australia as part of the UN Standby Partnership Programme. He splits his home-base between Malta, the UK and Australia. ﻿Training In Aid benefits from a talented short-list of expert associates enabling us to scale-up our team for large or specialised projects in your region. Lou has over 20 years of professional experience in international humanitarian operations with the United Nations, government and non-government organisations. Her skill set transfers into training facilitation on emergency preparedness and disaster response with a special focus on humanitarian start-up operations, security risk management and training of trainers. Prior to this she served in the Australian Army (Signals and Medical Corps) before joining the UN’s World Food Program (WFP) as a professional emergencies officer from 1995- 2005. Active learning events include delivering multiple HA/DR workshops and Train the Trainer’s in China, North Korea, Pakistan, India, Sri Lanka, Indonesia, East Timor, Ethiopia, Egypt, Somalia, Kenya, Uganda, Tanzania, DR. Con-go, Senegal, Cameroon, Iraq, Jordan, Yemen, Occupied Palestinian Territories, Italy, UK, USA and Japan. Lou has designed and delivered the field safety training “Travel Smart” series for the Bill and Melinda Gates Foundation, project managed WFP’s e-Learning project “Getting Ready for Emergencies,” is a mentor to Japanese associates of the Hiroshima Peacebuilders Centre Peace for Asia Program and lead facilitator for the Australian Government’s Rapid Response Team Training, SEA-PAC Regional Emergency Preparedness workshops, and Australian and New Zealand Medical & Surgical Teams response to international disasters. Lou has recently returned from Liberia as the WHO Training Coordinator for West Africa for the 2014 Ebola response. Lou is founder and director of Australian-based organisation, INSITU-TRAINING. Maarten Merkelbach, originally from The Netherlands, is a Swiss national based in Geneva with more than 25 years experience of humanitarianism. He gained his first experiences with the International Committee of the Red Cross (ICRC) where for 14 years he held a variety of field postings in Africa, Asia and the Middle East, and filled several headquarters positions. After a short stint with OCHA in Chad, he became director of the Security Management Initiative (SMI) where he published research on Duty of Care (legal responsibility) and the the ISO:31000 risk management standard. He was part of the advisory board of several projects and publications such as UN OCHA’s ‘To Stay and Deliver’, ODI’s ‘Operational security management in violent environments’ (GPR 8), and the ‘Irish Aid Guidelines for NGO Professional Safety & Security Risk Management’. He then held various positions at the Geneva Centre for Security Policy (GCSP), where he designed and led courses, with an accent on learning, on a wide range of topics such as states in transition, democratisation, and peacebuilding. 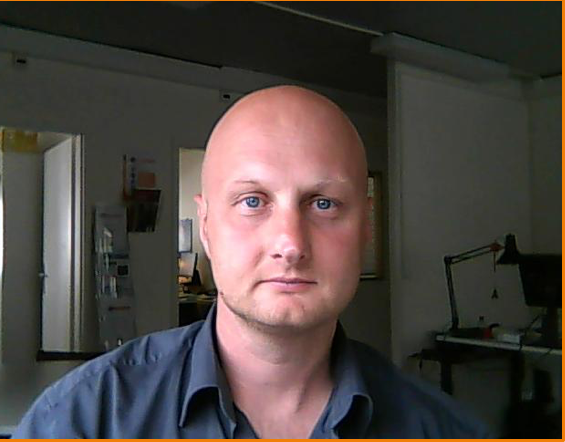 Today, Maarten acts as an independent with specific expertise in duty of care and security risk management. He is regularly asked to speak at NGO and interagency events, and carries out missions and advisory services for NGOs and governments, such as the Swiss Ministry of Foreign Affairs, and the Organisation for Security and Co-operation in Europe (OSCE). He is an Associate Lecturer at the Centre for Education and Research in Humanitarian Action (CERAH) at the University of Geneva. He has degrees from the University of Illinois, the London School of Economics and the University of Amsterdam. Mark Squirrell, more commonly known as Squiz, served with the Australian Defence Force for ten years before heading to East Timor in 1999 to work with the International Rescue Committee (IRC). He continued to work in Security and Emergency Response positions with the IRC in Albania, Sudan and Afghanistan. In February 2003, Squiz began working with the United Nations World Food Programme (WFP) as a Field Security Officer. He has worked with WFP in the occupied Palestinian Territories, Nepal, Sri Lanka, Somalia, Pakistan and Liberia. Squiz returned to Australia in 2008 and is now based near Melbourne. He provides training and development services to both the corporate and humanitarian sectors. Within the corporate sector he has provided keynote presentations and outdoor experiential training to enhance leadership, communication and resilience to organisations such as CGU Insurance, Geelong Football Club and ANZ banking. Squiz also remains engaged with the humanitarian sector by providing security related training and advice to humanitarian organizations such as the Australian Medical Assistance Teams, International Development Law Organisation and Aspen Medical. More recently Squiz has deployed to both Liberia and Sierra Leone in response to the Ebola outbreak and Nepal following the 2015 Earthquake. He holds a Masters in Disaster Management, is a member of the United Nations Disaster Assessment and Coordination (UNDAC) Team and is on the roster of the Assessment Capacity Project (ACAPS). He has worked in the Middle East, South East Asia, Asia, West and East Africa, and Caribbean. Between missions, he works with methodology development for disaster management and humanitarian coordination. Rolf also works extensively with adult learning and training design based on participatory learning methods and action based learning. He has worked on numerous simulation exercises and training courses and held the position as a Training Coordinator for ACAPS. Examples of clients include; UN Office for Coordination of Humanitarian Affairs (OCHA), Union Civil Protection Mechanism (UCPM), Joint UNEP/OCHA Environment Programme (JEU), Assessment Capacities Project (ACAPS), University of Copenhagen/Lund University and numerous agencies/non-governmental organisations. Sally spent 26 years working for the UN, including 14 with the Office for the Coordination of Humanitarian Affairs (OCHA). From 2005-2013, she served as focal point for the UN Disaster Assessment & Coordination (UNDAC) system in the Africa-Middle East-Europe Region, developing and managing the region's UNDAC rapid response teams for humanitarian emergencies, including organization and delivery of training activities. She has been deployed on a number of major humanitarian emergencies including East Timor, Liberia and Indonesia, as well as UNDAC missions in Africa and Asia, including Disaster Response Preparedness evaluations. She was a member of the UNDAC Review team in 2011 including the Working Group on training redesign. Prior to joining OCHA, Sally worked for a variety of UN institutions in the role of Personal Assistant to senior officials, including the UN High Commissioner for Human Rights, the Executive Secretary of the Framework Convention on Climate Change and the Secretary-General of the UN Conference on Environment & Development. She also spent a year in Cambodia as Personal Assistant to the UN Force Commander, head of the military contingent of the UN peacekeeping operation. Sally now works as an independent consultant in international humanitarian response coordination, with a focus on preparedness, including training and interoperability. She is an OCHA-accredited trainer in OSOCC methodology and continues to be involved with the UNDAC system through training activities in support of development of regional emergency response mechanisms in Africa. She is currently a trainer for the EU Civil Protection Mechanism training courses in Operational Management and Assessment, as well as for the EU PPRD South programme in non-EU Mediterranean countries, as well as for the Humanitarian Assistance in West Africa course held at the Kofi Annan International Peacekeeping Training Centre in Ghana. ​Pierre has worked over 25 years in international development, cooperation and humanitarian action. Through his career, he has worked for the private sector, governments and largely within the UN Community. In the 1990’s, Pierre worked for the French Government in Bombay for 18 months on economic cooperation matters. Based in Rome (1995-2001), he worked for a private consulting company developing Technopark projects and innovation partnerships. He worked for the Food and Agriculture Organisation (FAO) and the World Food Programme (WFP) to design and deliver bespoke gender and socio-economic analysis and gender and emergencies training programmes in Europe, Asia and Africa. The years 2000 marked a decade of humanitarian fieldwork. Pierre took leadership responsibilities within the Office for the Coordination of Humanitarian Affairs (OCHA) in various operations (Syria, Iraq, occupied Palestinian territory, Timor-Leste, Sri Lanka, the Philippines, Pakistan and Haiti. Pierre joined Geneva-based UN offices in 2009. His work focused on inter-agency coordination, policy and capacity-building. He worked as Senior Early Recovery Advisor for the UN Development Programme (UNDP) for 3 years and then joined OCHA again in 2012 as Chief of the Emergency Preparedness Section and Senior Advisor to the Director of OCHA Geneva. Pierre and his team developed state-of-the-art emergency preparedness internal policy and contributed to inter-agency policy setting, training and simulation exercises. He left the UN in June 2017. Pierre holds chartered status in facilitation and training. He holds two masters in International Development Economics and Political Science and various leadership and project management qualifications in demanding environments. He gives lectures in different University Masters specialised in Humanitarian Action (Aix-en-Provence, Grenoble and Geneva). Pierre's areas of interest and expertise are in 1) humanitarian response coordination, 2) crisis risk management, 3) emergency preparedness, 4) humanitarian-development nexus and 5) creative thinking. Pierre can work both in French and English. He splits his home-base between Geneva area, the South of France and Corsica. Steffen has more than 27 years of experience with national and international emergency response, coordination and adult learning and training. He is a former Major in Civil Protection and has worked for the Danish Emergency Management Agency (DEMA) as an instructor, leader and head of education and as a senior programme officer for international operations. Apart from officers’ academy, Steffen holds a Bachelor degree in business organization and development and a Master in Disaster Management. Steffen is a trained member and team leader of the United Nations Disaster Assessment and Coordination (UNDAC) Team as well as for the European Civil Protection Mechanism experts. He has worked with training and education of conscripts and volunteers in the period of transforming cold wartime Danish Civil Defense into peacetime national civil protection. He has been involved in developing DEMA’s international capacity to respond and in developing standards and guidelines for, amongst others, International Urban Search and Rescue Advisory Group (INSARAG). He has also been involved in developing the European Union Civil Protection Mechanism training programme and has been a lecturer and trainer on more than 70 of these and a number of UN training courses and exercises and is an OCHA-accredited trainer in OSOCC methodology. He has worked with training, disaster response and capacity building for the UN OCHA, EU and the DEMA in Serbia, Bosnia & Herzegovina, Montenegro, Macedonia, Kosovo, Albania, China, Mozambique, India, Maldives, Iraq, Cambodia, the Maldives and Ukraine and has been project manager for international response to numerous disasters and conflicts in the world. Sarah comes to Training in Aid with a background in non-profit communications and operations. Having spent 10 years working with a range of philanthropic organizations, both domestically in the United States and internationally, Sarah is well versed in internal and external communications, project and programme development, operations management, and fundraising. From her years in the non-profit sector, she has gained experience in the areas of public interest advocacy, human rights, community-based development, and HIV/AIDS. Sarah has also worked in training development for non-profits and, most recently, as a consultant with UN OCHA. In this role she supported the development and facilitation of various trainings and exercises including the UNDAC Induction Course, UNDAC Team Leader Course and INSARAG Regional Earthquake Exercise. Sarah holds a bachelor’s degree in community development and will complete her master’s degree in disaster management through the University of Copenhagen’s MDMa programme in Summer 2016. Sarah is based in New York. A British national based in Budapest, Martin has spent over 17 years working in the humanitarian sector in Eastern Europe, Central Asia, North Africa and the Middle East. Beginning with the International Federation of Red Cross and Red Crescent Societies he gained expertise and field experience in strategic and operational planning, monitoring and evaluation, before working for UN OCHA as regional disaster preparedness advisor, training on coordinated needs assessments and as course designer and lead facilitator for UNDAC. Most recently he set up the RedR UK office in Amman, Jordan, serving the Middle East humanitarian community with capacity building initiatives in Jordan, Iraq, Turkey, Lebanon and Yemen. Throughout his career, Martin has been involved in adult learning in a range of subjects at universities and with humanitarian organisations. He applies a systems thinking approach that encourages staff, volunteers, affected communities and all stakeholders to exchange perspectives, practical experiences and promote a culture of quality. As an instructional designer and capacity building specialist, Daniela has highly-developed skills in knowledge management, honed throughout years of experience within international organizations. Daniela has worked with the WHO Emergency Medical Teams (EMTs) initiative, where she was responsible for the coordination of activities supporting the development of regional emergency response mechanisms. Before WHO, Daniela was an e-learning and development specialist in OCHA Geneva and has also previously worked for IT UNICEF, where she advised on learning and knowledge sharing methods, focusing on information and communication technology for e-learning, blended learning and workplace learning. Her specialties include adult learning and the instructional design of learning and training activities, technology enhanced learning (networked e-learning), new technologies (learning content management systems, authoring software and social software) and knowledge management. Daniela holds chartered status in eLearning and capacity building, a master degree with honours in International Communication, a bachelor degree in communication and education and numerous other qualifications in knowledge and information management. She is fluent in English, French, Spanish and Russian.